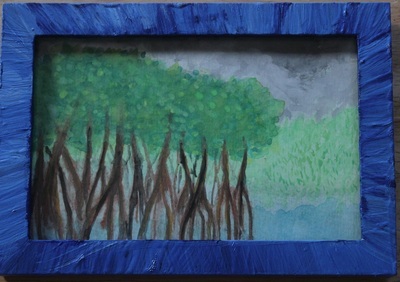 This oil on wood piece is another inspired by Everglades photos taken over a number of years. 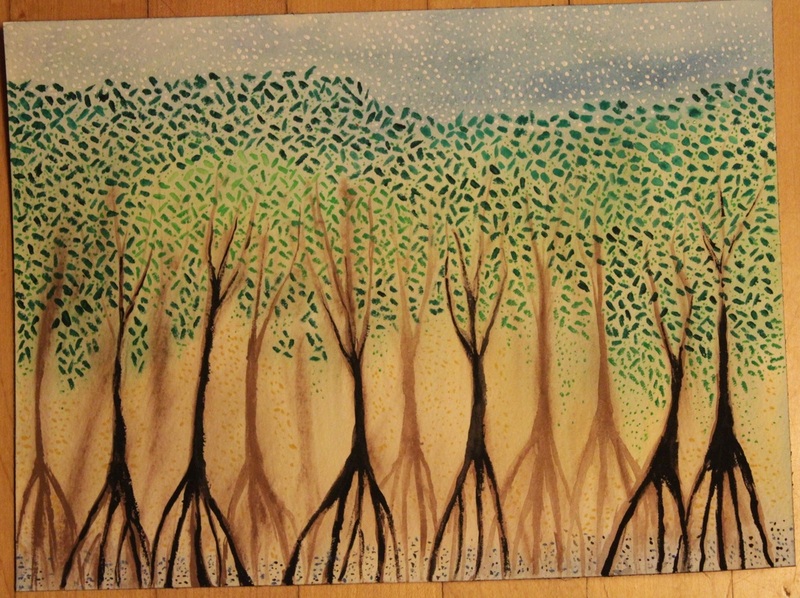 Originally there were no trees in this particular painting. I actually really liked it as that. But then I fell prey to that terrible thing--doubt. "I wonder if other people are going to like it....what are they going to think? Is it boring? It is a little odd because I rarely do this. 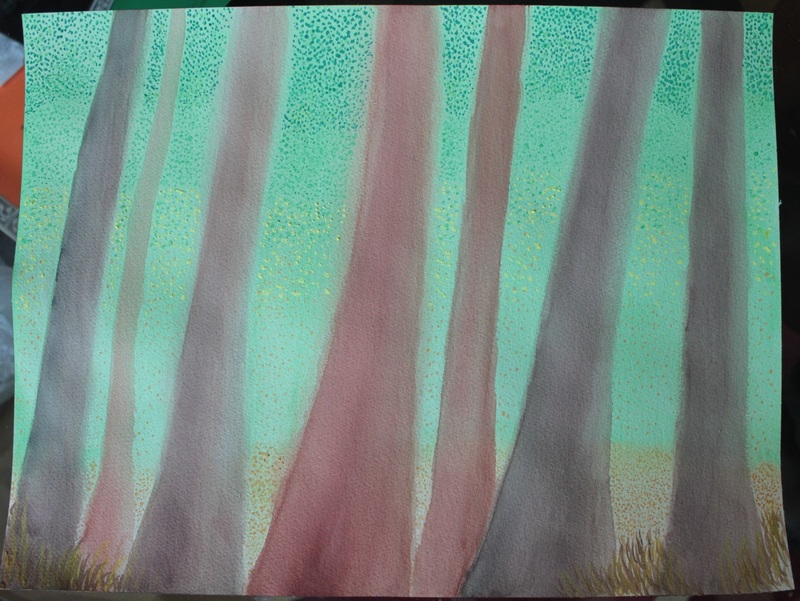 SO I added trees and I immediately hated them. It took awhile for me to get to the point where I kind of liked them and forgave myself for adding them. They are, essentially two copses of mahogany trees that were in a different photograph. Obviously I am not trying to depict actual things in any case but being inspired by something that exists is the basic M.O. I suppose here we are just combining two such things. 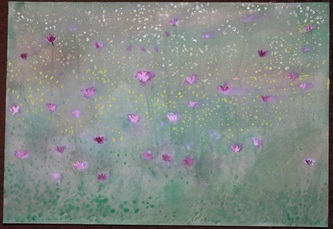 I neglect this site....here is a new painting. A gallery of new work will appear soon! 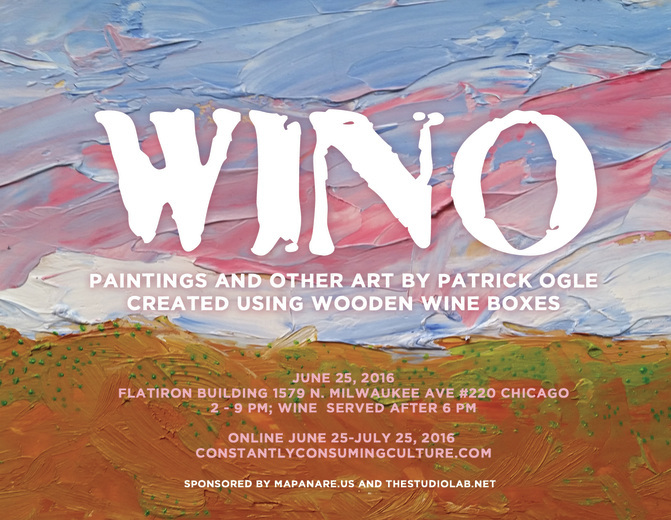 Wino is a collection of paintings on wooden wine boxes. 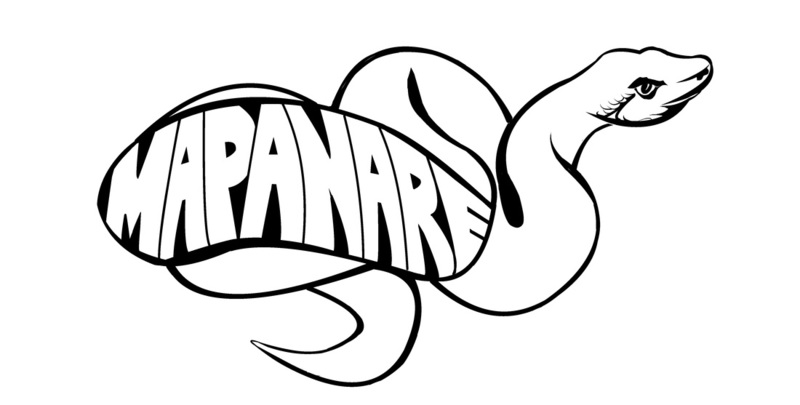 It is open June 25 in Chicago at the Flatiron Building (1579 N Milwaukee Ave #220). The opening is from 2 to 9 p.m. Wine will be served at 6 p.m. 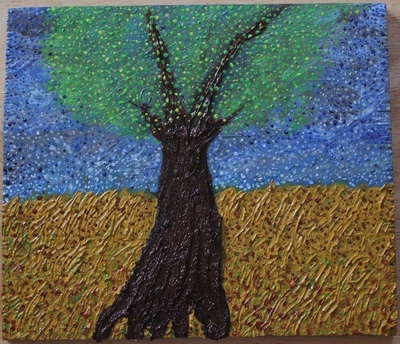 The art is a mix of acrylics and oils and you can also see it online at constantlyconsumingculture.com too. It has been awhile since I posted any paintings but I have actually been painting. 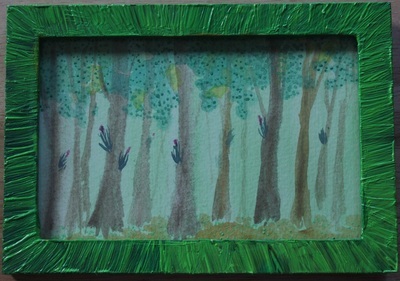 The recent stuff has mostly been oil but you will notice a couple of watercolors in frames I painted in oil. The painting above is a small (4x4). I painted it to go in a little pre-Christmas exhibit of small art....but it wasn't finished. 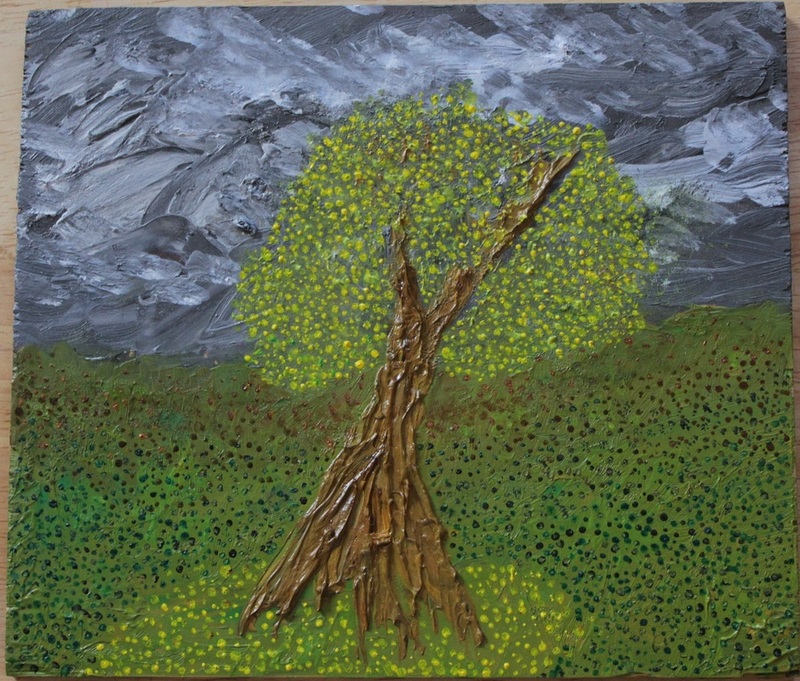 The three paintings above are oil on wood--little pieces of I believe pine. These are pieces of wood used to hold cheese plates sold at a local grocery. I salvage them. I don't gesso them or anything, just paint right on the wood. The last one, of mangroves, may not be finished yet. The first one I was going to tinker with more but thought I might actually make it worse. I bought this piece of red oak (a scrap from a Home Depot) to use as a little table for painting watercolors while I was housesitting/catsitting and didnt want to ruin my friend's coffee table. I used it then it sat around for awhile and I painted some background color on it. Then it sat around some more unti I picked it up and started with some details. I had to (and perhaps have to) resist the urge to tinker with it more. 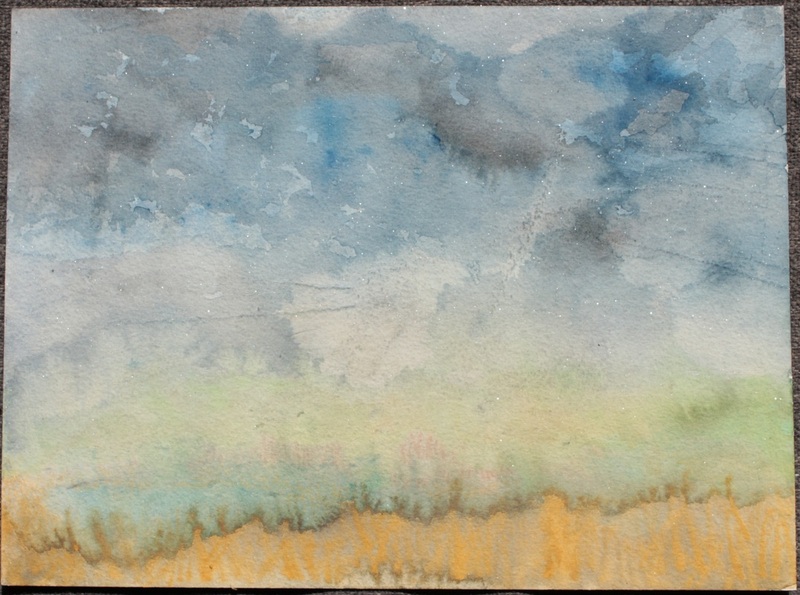 The two pieces above are 6x4 watercolors in little frames I painted with oil. The one on the right has been posted here before but I do not think the one on the left ever was. It has been awhile since I posted any paintings. I am pretty sure I have done a few since the last ones I posted (so much for this being a chronicle of everything I do with an eye for changes and progression!). 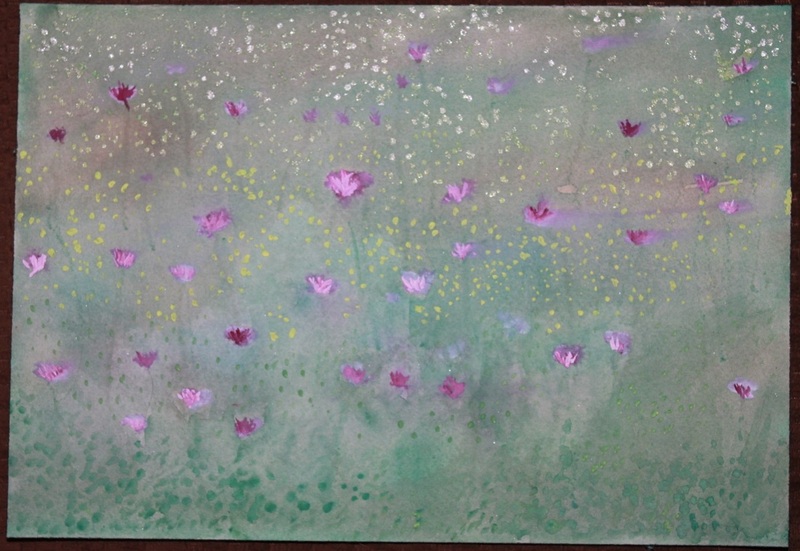 The top painting is actually as much pastel, pencil and water color pencil as it is "painting" although there is certainly watercolor and probably gouache in it. The piece is on 9 x 12 1/8 inch Arches 300 lb watercolor paper. 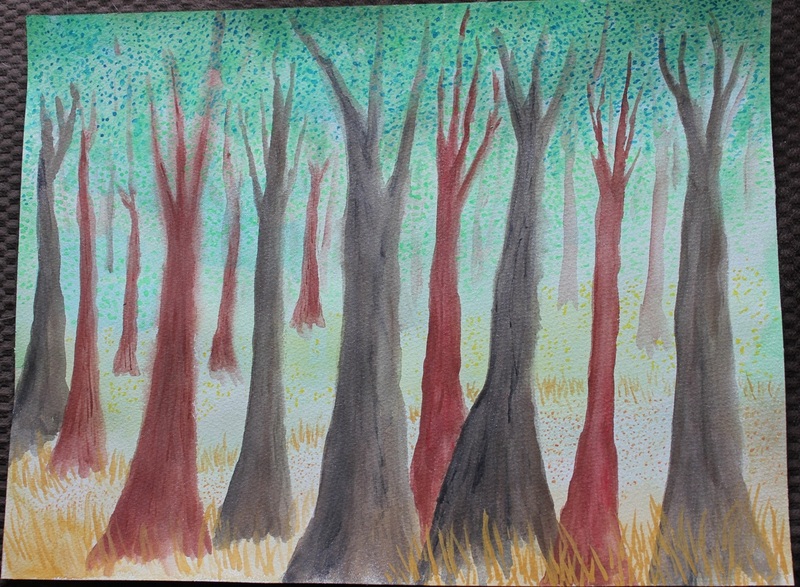 It is similar to some others I did and is based on any of a number of photos Ive taken in the Everglades and Big Cypress--which are often actually of cypress trees. But I sort of made them cypress . 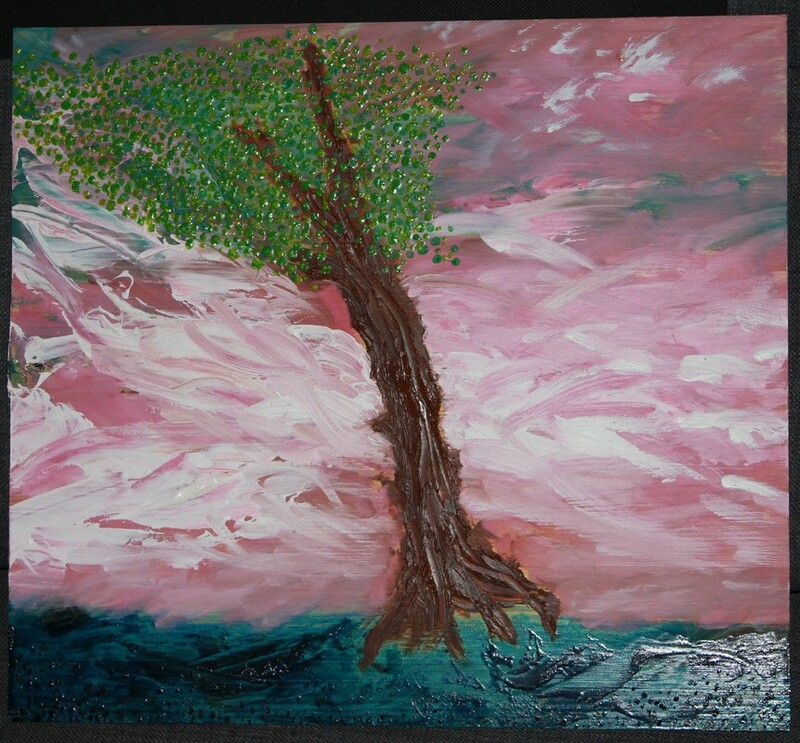 I called this one Mahogany. 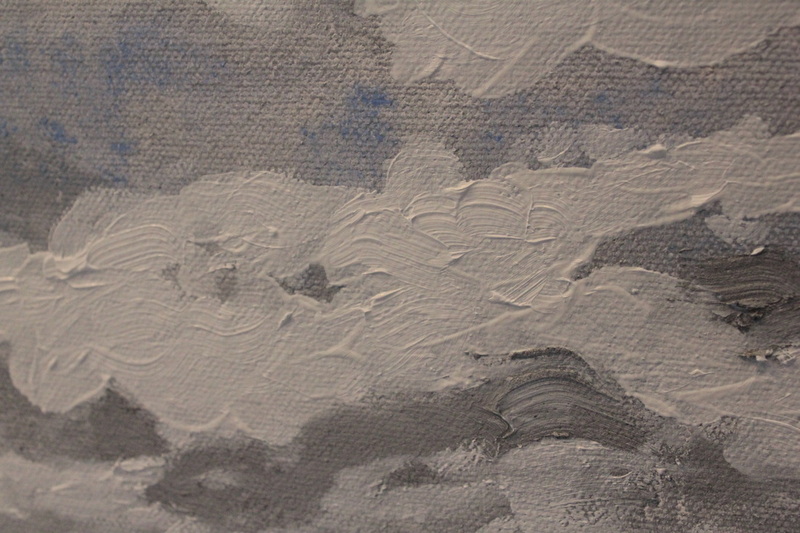 It has a sort of unfocused feel. 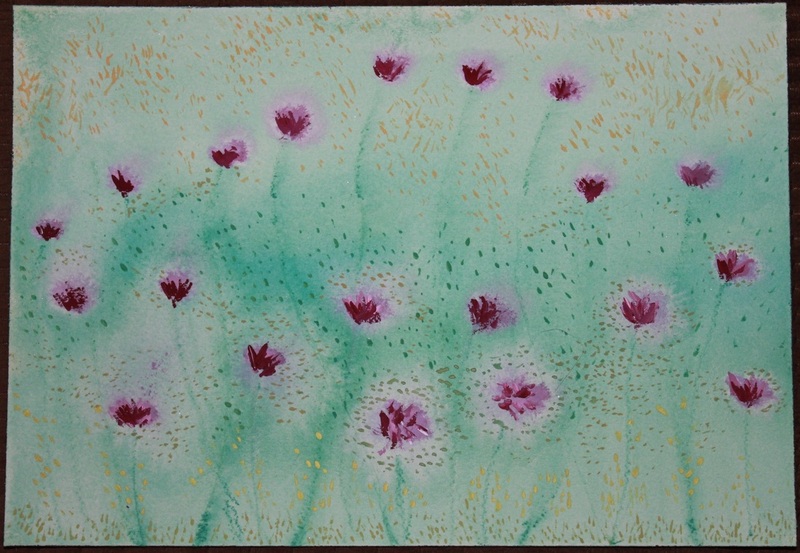 The piece above is also watercolor, pastel, gouache, pencil and watercolor pencil. 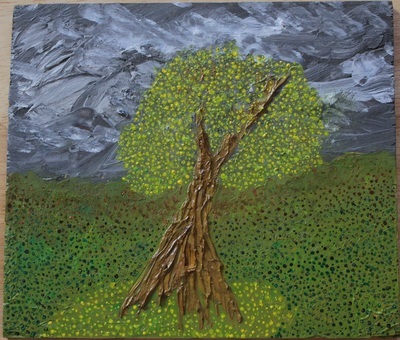 This one has more paint than in the Mahogany painting. 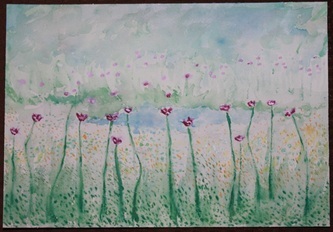 It is also larger and is on 12 1/8 x 161/8 Arches 140 lb watercolor paper. 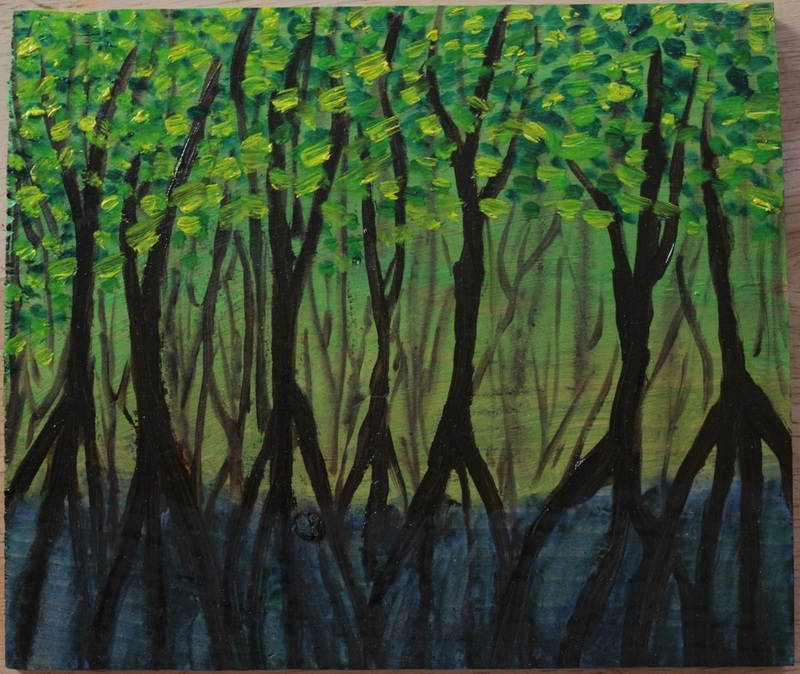 This one isn't based on anything and came out of my brain...It is sort of meant to look, in the background, what parts of the glades look like when you squint your eyes. 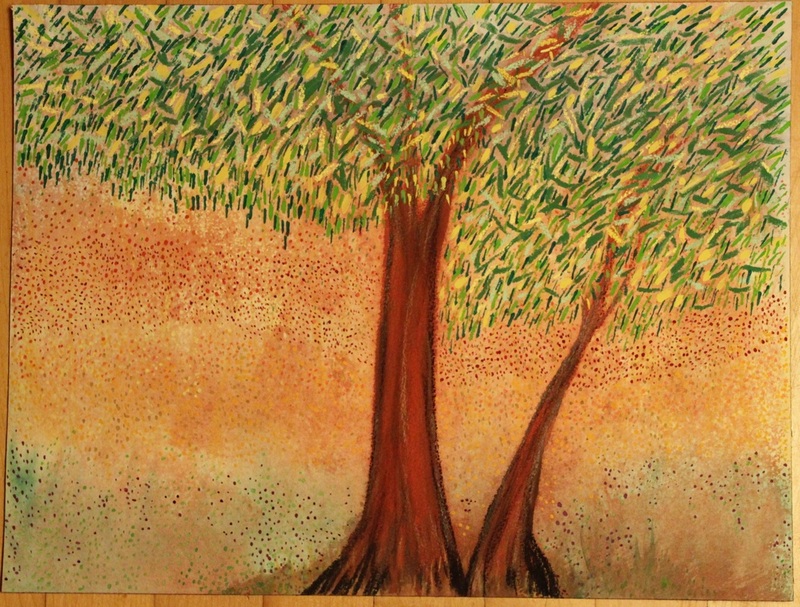 This one is cleverly called Trees 2014. 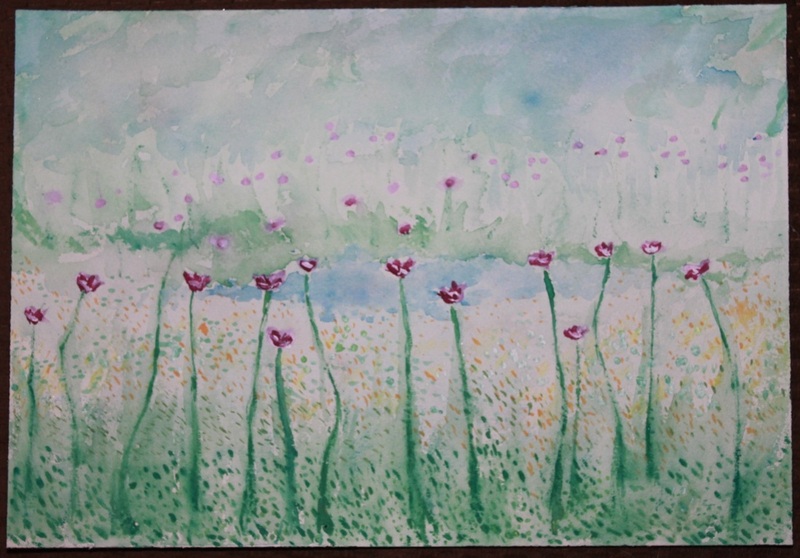 The piece below is also on 9 x 12 1/8 inch Arches 300 lb watercolor paper. 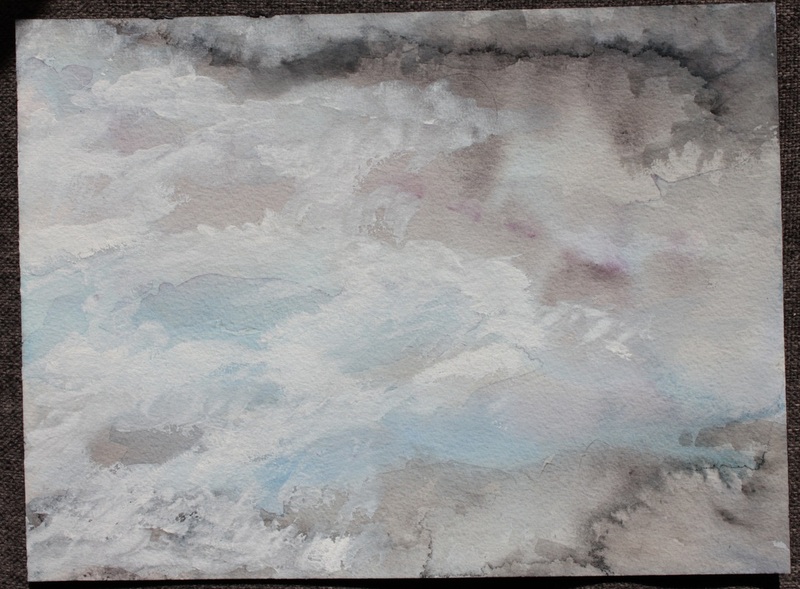 This one is, so far, all watercolor and is not done. 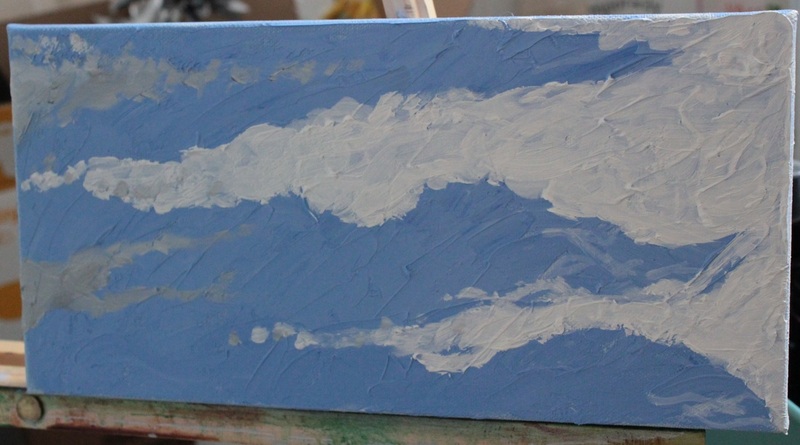 This is sort of the background for the painting. The top is more done than the bottom of this one. It probably won't have pastel in it (but it might) but I am likely to add pencil and watercolor pencil...maybe some other things....I will post the potentially ruined altered version. 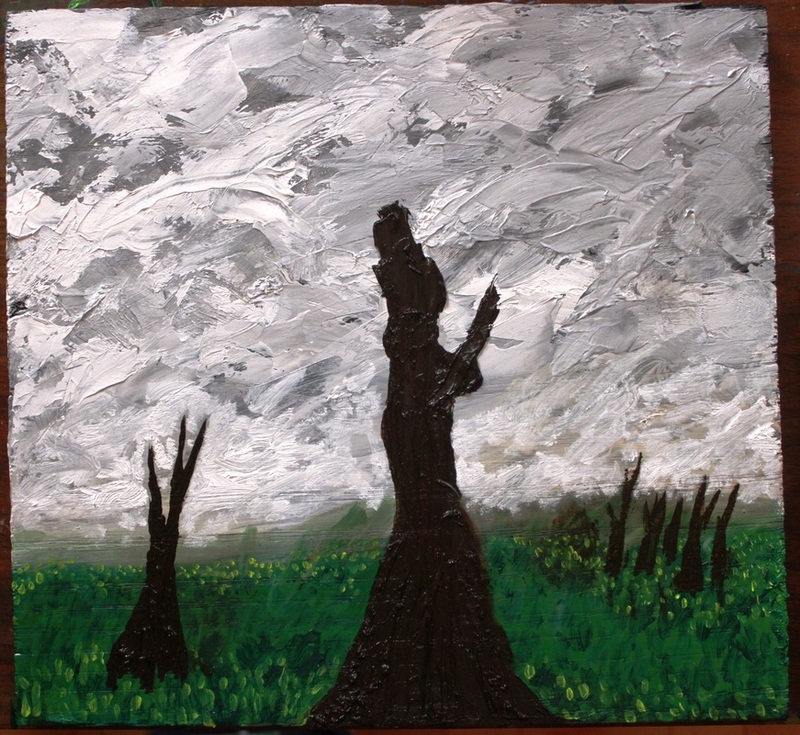 This is one example of recent paintings I am doing based (loosely..very loosely) on photos I took out in the Big Cypress last year. I meant to get started on these earlier but..well I didn't! The paintings include the ones shown here (which are 7x10 1/4 or thereabout on 140 lb Arches paper) and some larger ones I am working on. 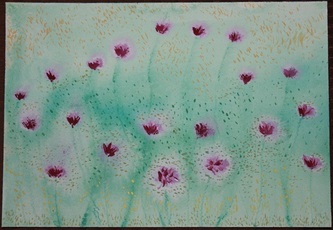 The larger ones are on Arches 300 lb paper and others on Arches 140 lb paper. I will have photos (and the exact dimensions) shortly. I will probably just add them here so check back to this URL. Of the first three (Here and in the post below) one is accounted for but the other ones are for sale. All of these here are $50 (unframed). I will frame them but with all the stuff I need to do that for these? Plus shipping (I hate shipping) The price framed would be $150 (including shipping). So in preparation for working on some new paintings based upon photos I took this past winter in the Big Cypress I started doing some more swamp photos similar to the ones I did when I did my Everglades photos. This first one (the photos above and immediately below) I thought was 7x 10..it is actually a bit larger and done on 300 lb paper. 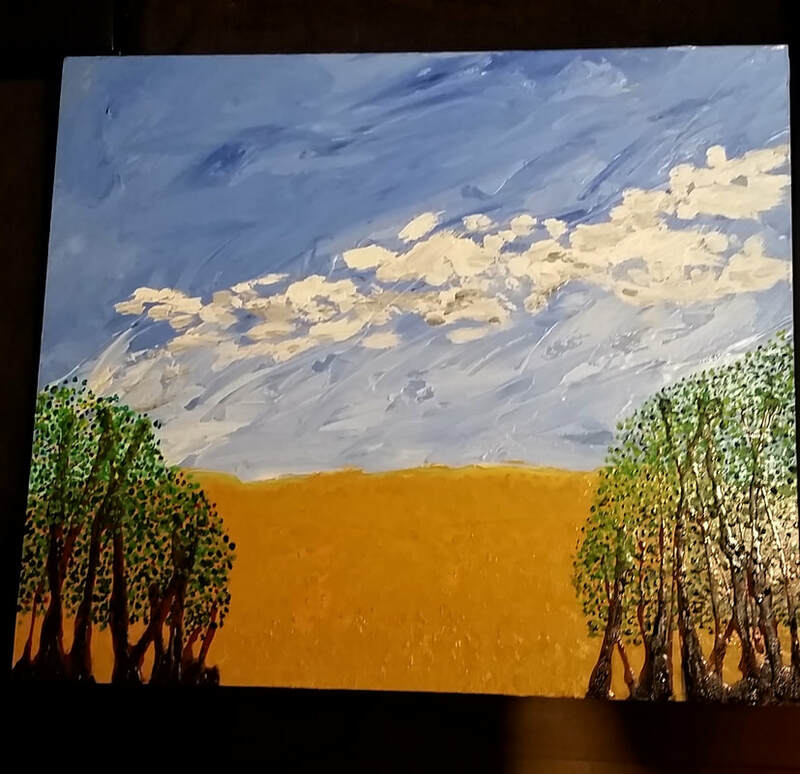 I was going to paint a single poisonwood tree in the foreground but for some reason I just liked this the way it is and couldn't bring myself to do anything else to it. 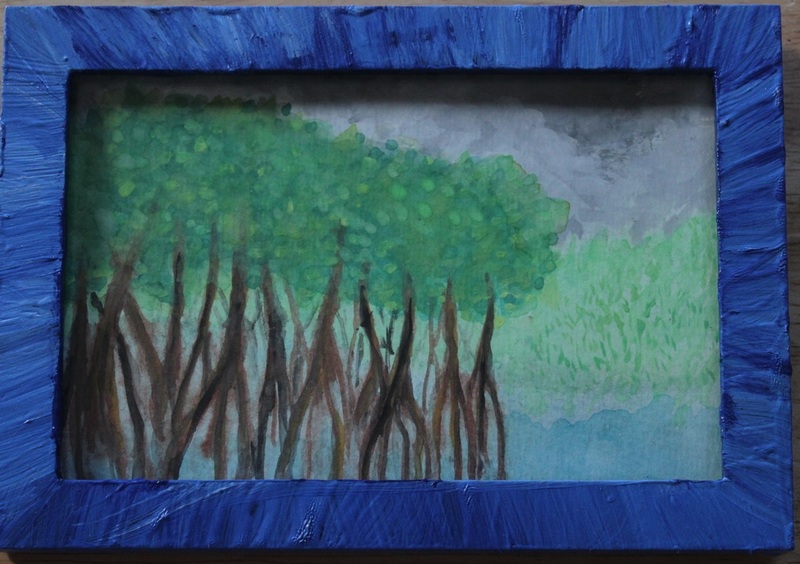 The two below are versions of paintings I have done before of the everglades. 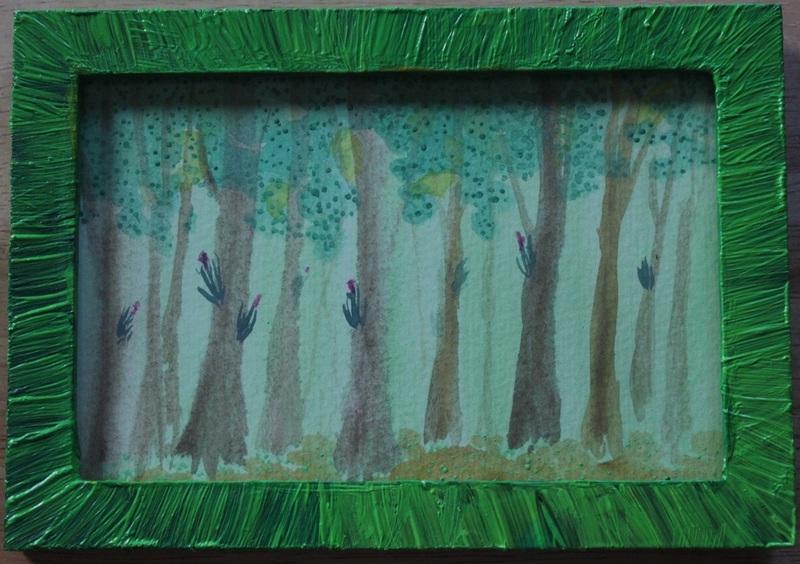 They are based on photos of walking in the mahogany/poisonwood trees. The top is very similar to others I've done...the bottom is a cross between the close in 'forest' of mahogany and the plain paintings. The bottom one has a sparkle to it. I didn't name any of these yet. Any suggestions? Below this is another large one...(what I call large is like 20 something x like 18 something or so...). I am not fond of this one. 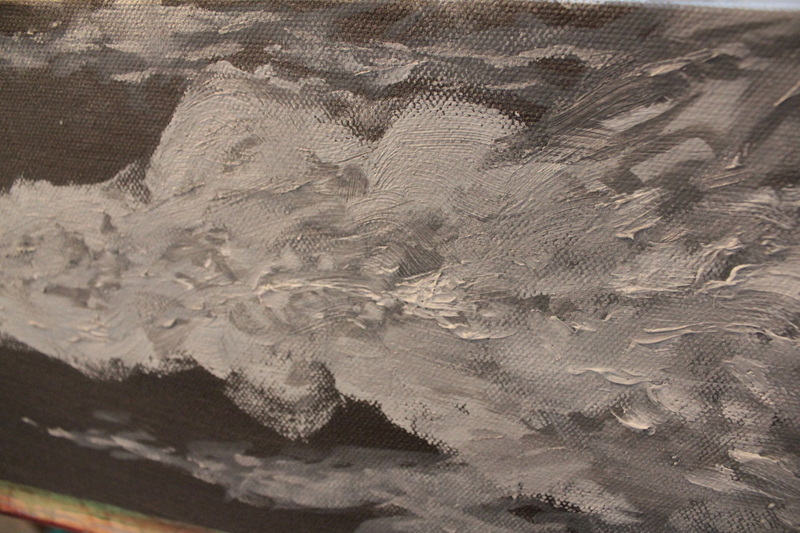 I wanted to do a night sky but as you see it just turned into something of a mess. 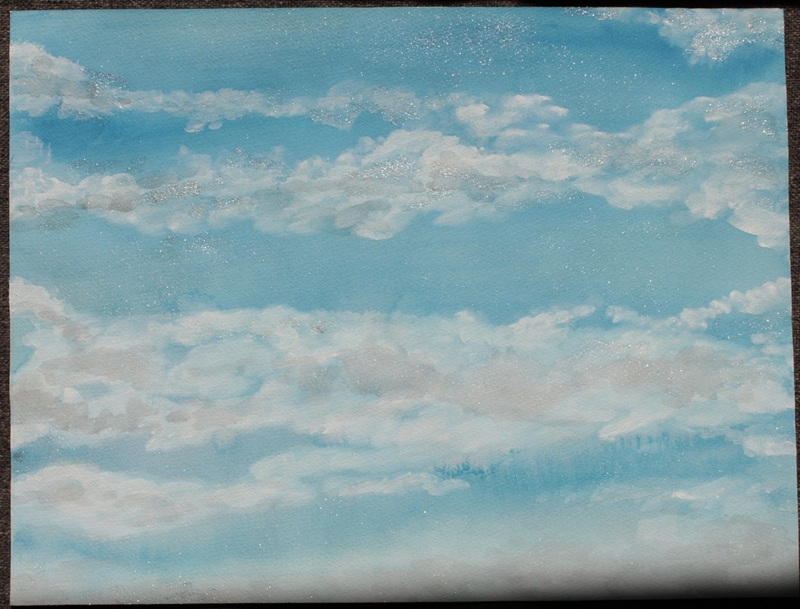 Below The Mess (my title for it) is a small 6x4 sky that I sort of like, except the watercolor spread thing is a bit too obvious for me. 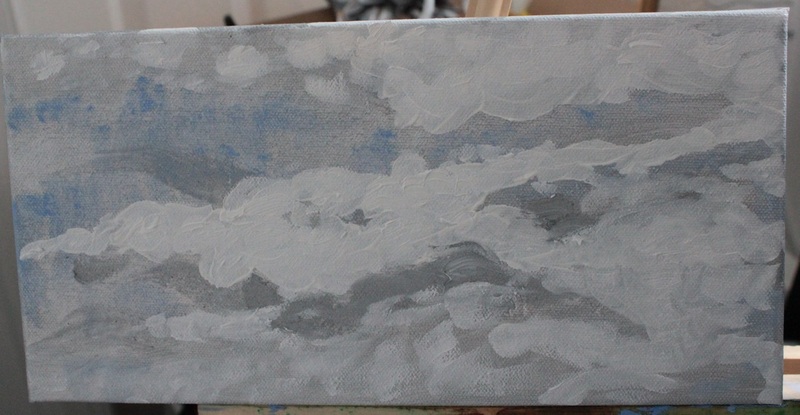 These are the as yet nowhere NEAR DONE sky oil paintings. The full sized ones actually look shittier than the paintings actually are though so I took some close ups that you can see in the gallery below. 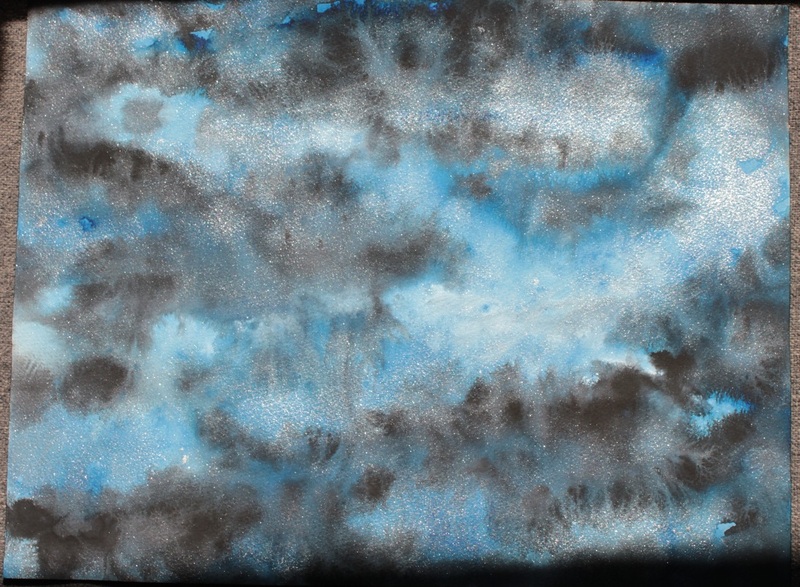 I was trying to work all these paintings together--one with a sort of silvery blue sky, another straight up blue and another at night. BUT that didn't work so well so I switched to doing each one singly. I am not sure where these will wind up but I have some sneaky ideas. 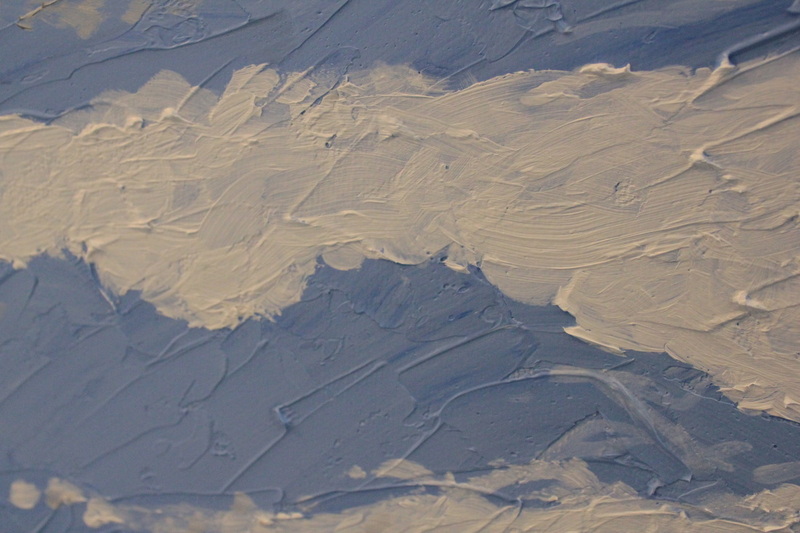 There will certainly be more paint involved...lots more paint.